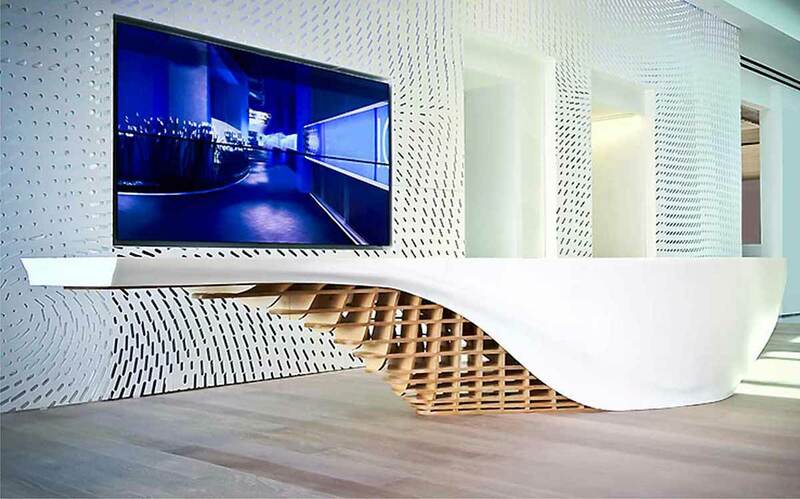 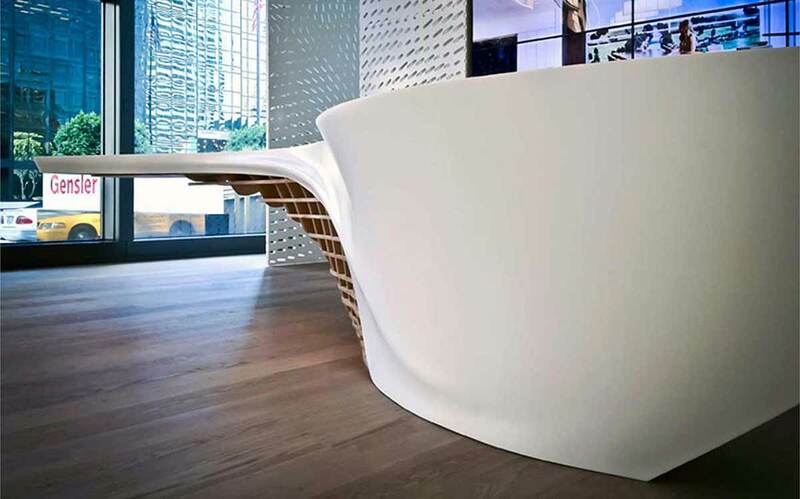 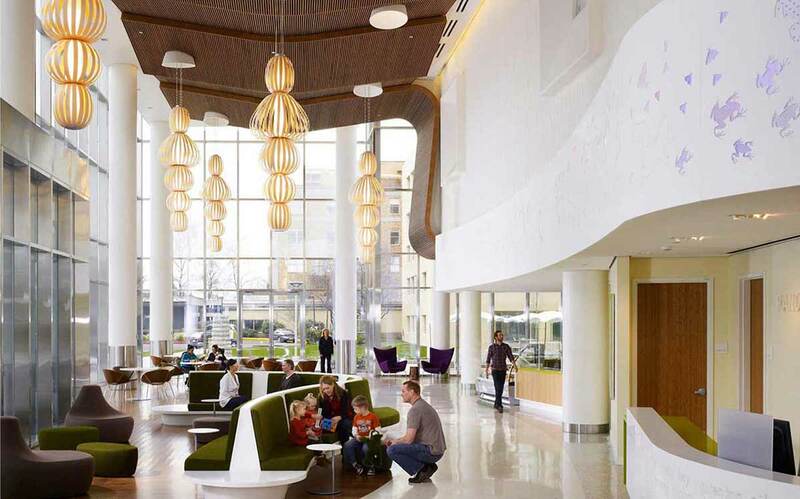 Bend solid surface into virtually any complex form imaginable: spilling through complex topologies, following curves, taking corners, and even wrapping around columns. 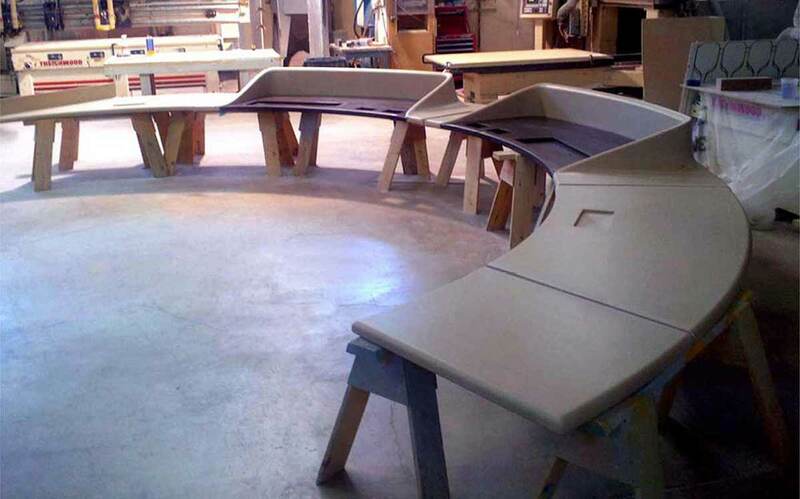 We heat solid surface material and then cool it over a mold. 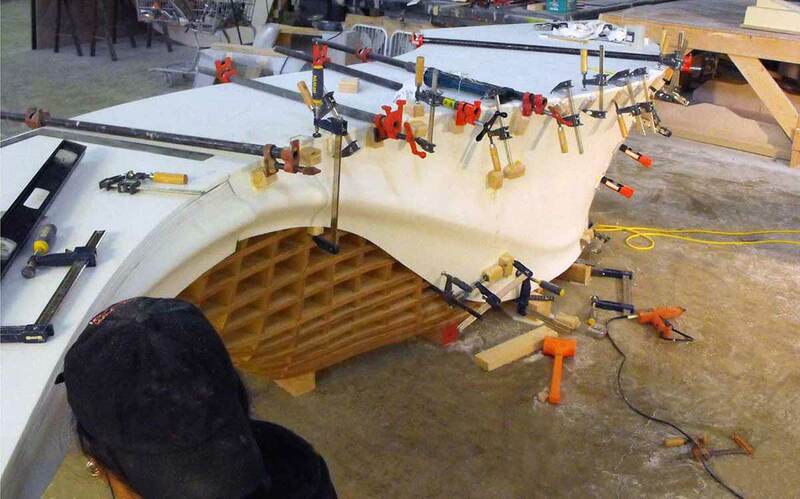 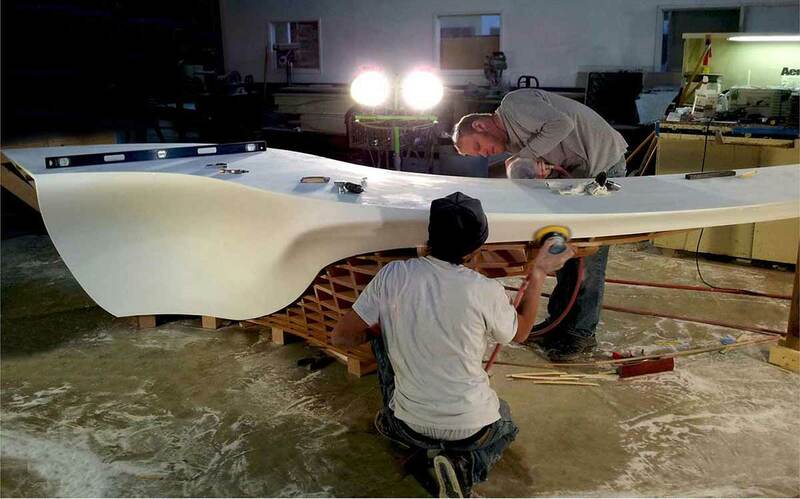 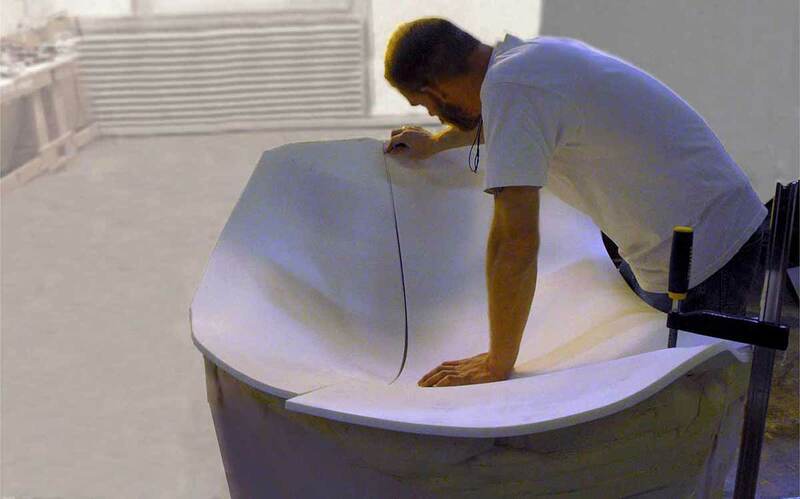 Once cooled, the solid surface retains the shape of the mold, and is ready for additional fabrication techniques. 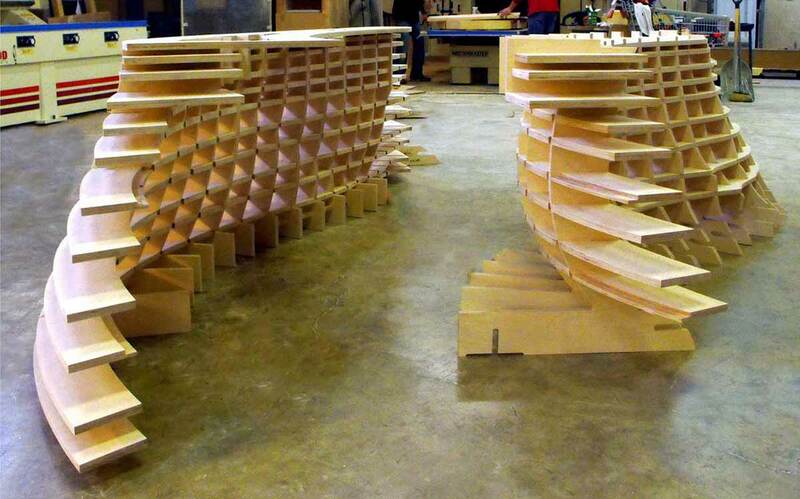 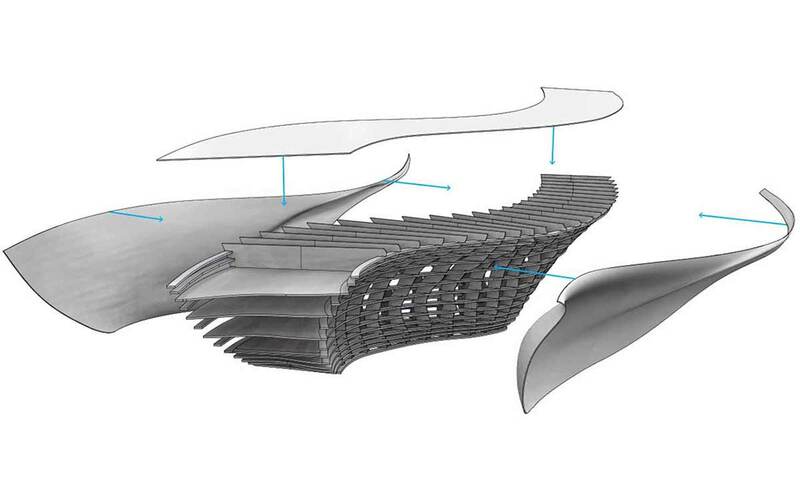 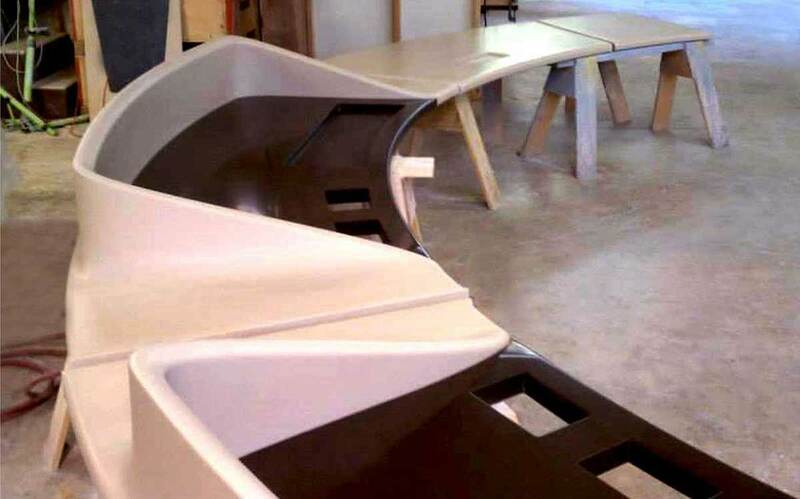 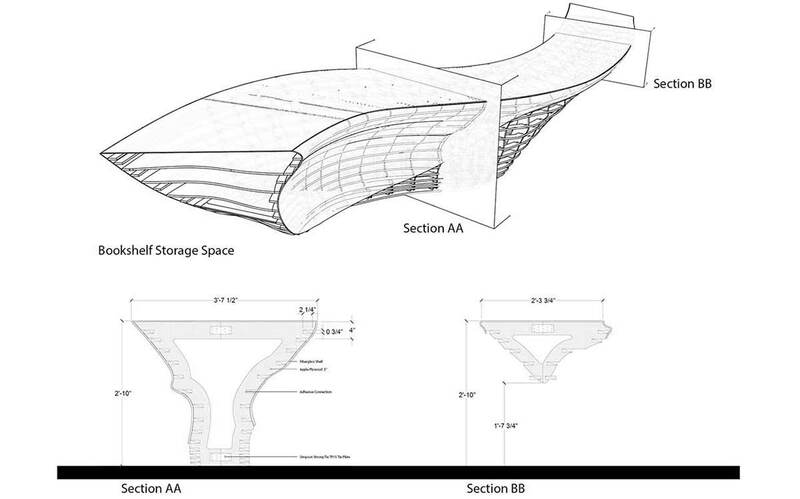 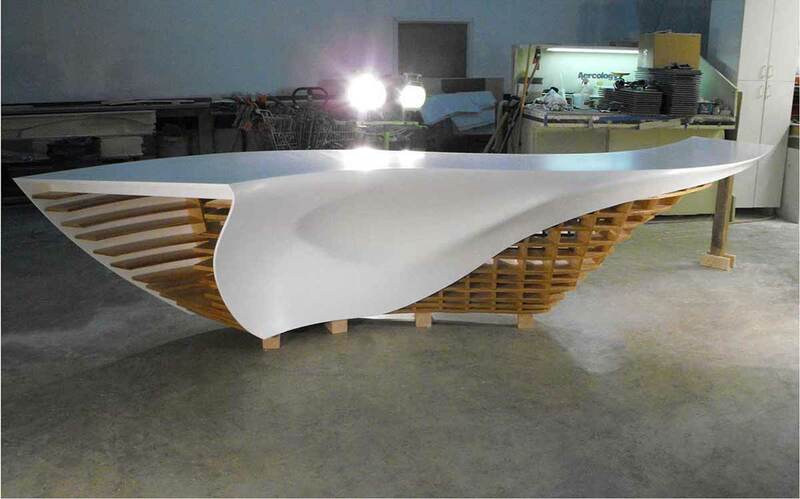 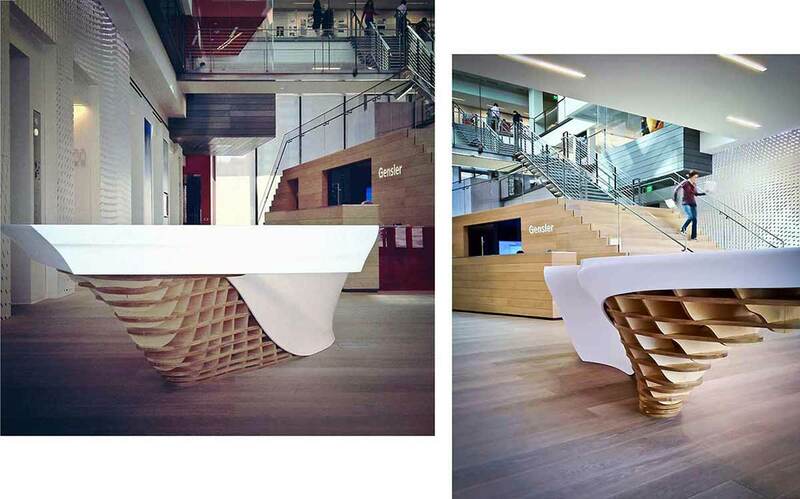 A flat solid surface can morph into a complex combination of curves. 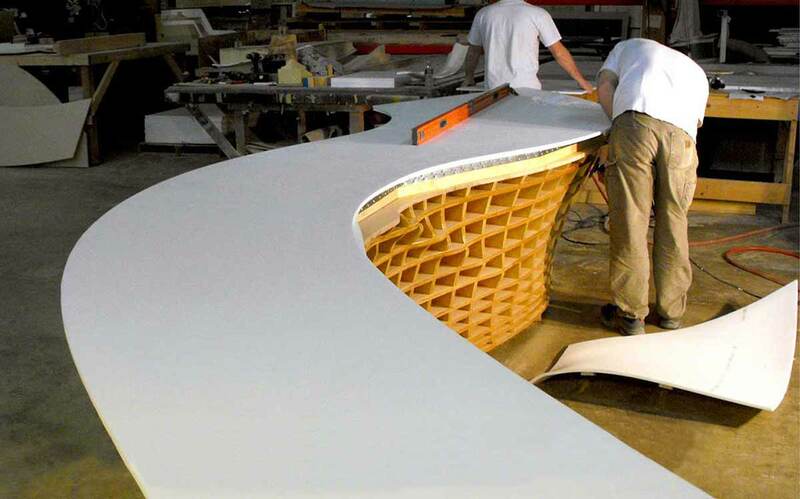 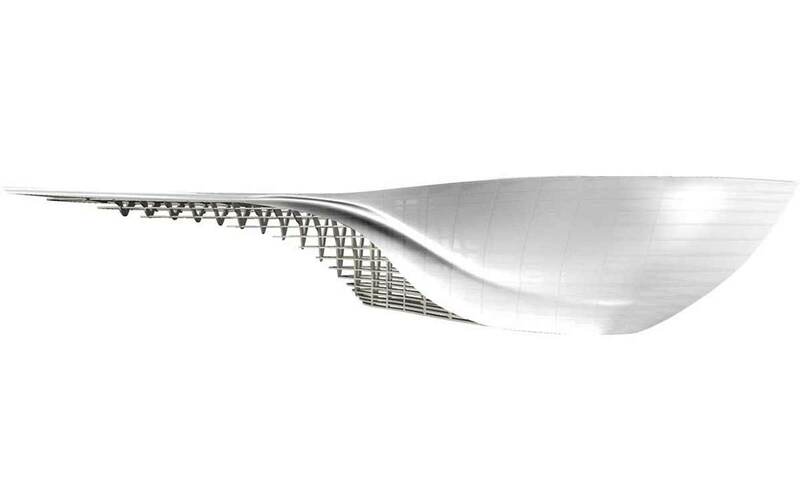 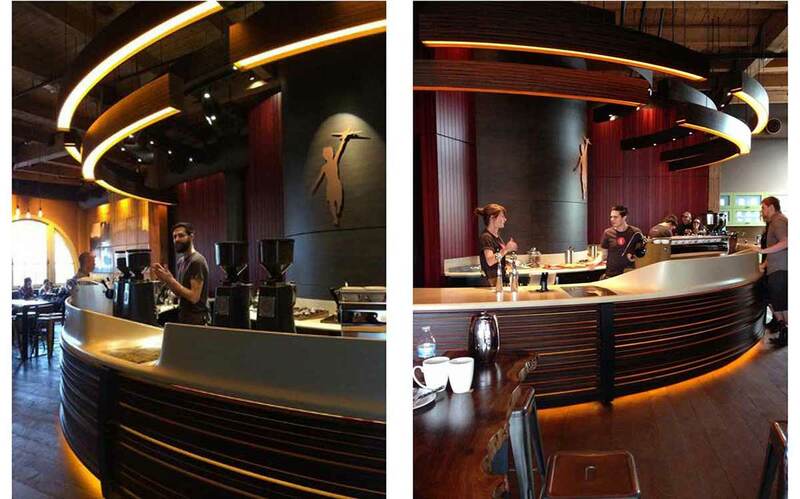 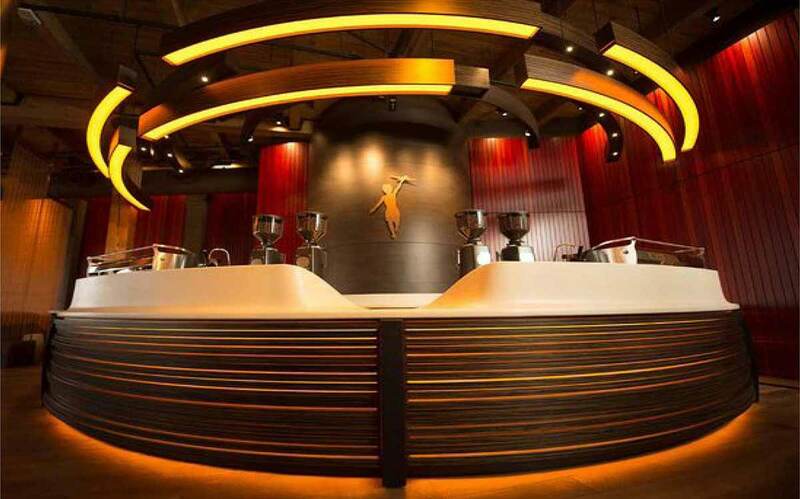 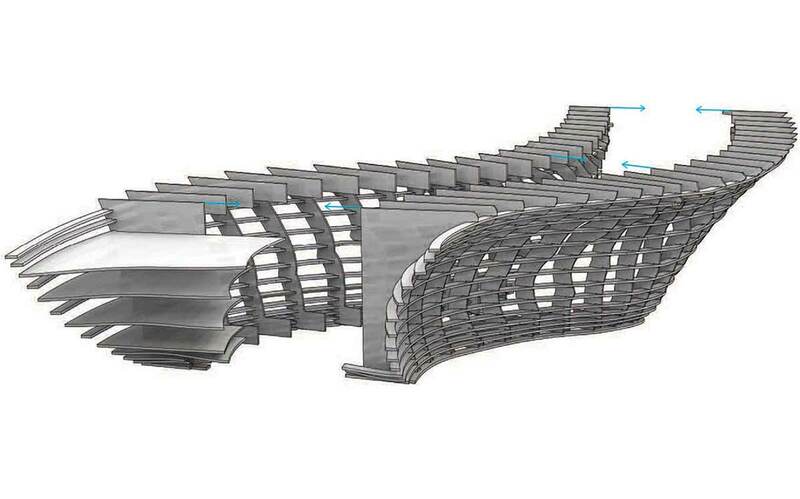 Use this process in combination with other processes to create curved panels, furniture, or components, such as wall features, exterior cladding, custom lighting, fountains, water features, reception desks, and indoor or outdoor public seating.